“Twatotela sana!” Margaret exclaims, with an infectious smile. That means “thank you very much”—but really, for her selfless work and genuine desire to bring about change in her community, we should be thanking her. A volunteer Community Health Promoter (CHP) with Seeds of Hope since 2008, Margaret is a beacon of light and a voice of hope in her community, Mapalo, where she works to bring the good news of health. Through her joy-filled eyes and quiet strength, you would never see the challenges her family of 11 has faced over the years. Before she began volunteering for Seeds of Hope, her family was often stricken with malaria and diarrhea, resulting in many trips to the clinic—trips they could not afford. “Every month we would have an outbreak of diarrhea,” Margaret says. She and her family were drinking from a contaminated source—an unprotected shallow well. They had no idea the water was making them sick. 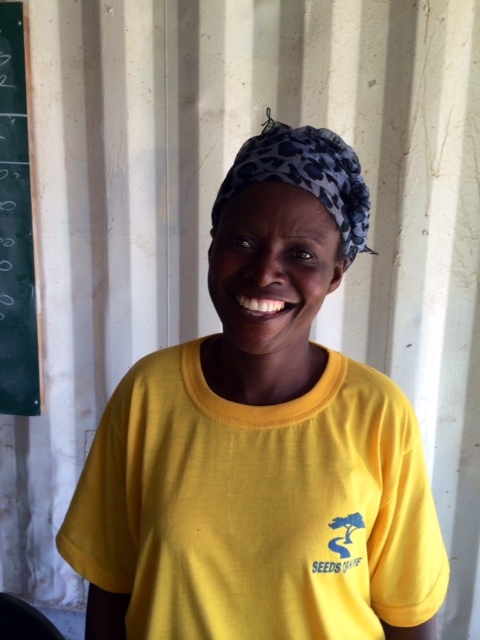 When she attended her first hygiene training facilitated by Seeds of Hope, her life changed. Now, when asked about the last outbreak of diarrhea in her home, she says, ”I can’t remember … I don’t even know where the clinic is now!” After learning how to live in a healthy environment—one with a rubbish pit, tippy tap, latrine, and BioSand Filter—Margaret joined with Seeds of Hope to help us spread the word as a CHP. 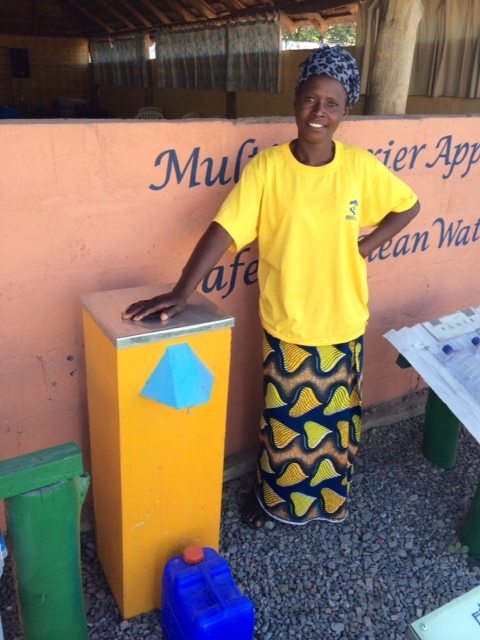 To date, Margaret has reached out to and trained 16 other households, two of which have received certificates from SoHIP recognizing their efforts to establish Healthy Homes. Margaret is a witness to Mapalo’s transformation, but her vision extends far beyond her community—she dreams of a world where every home is free of disease. Margaret is committed to doing her part. How will we do ours?